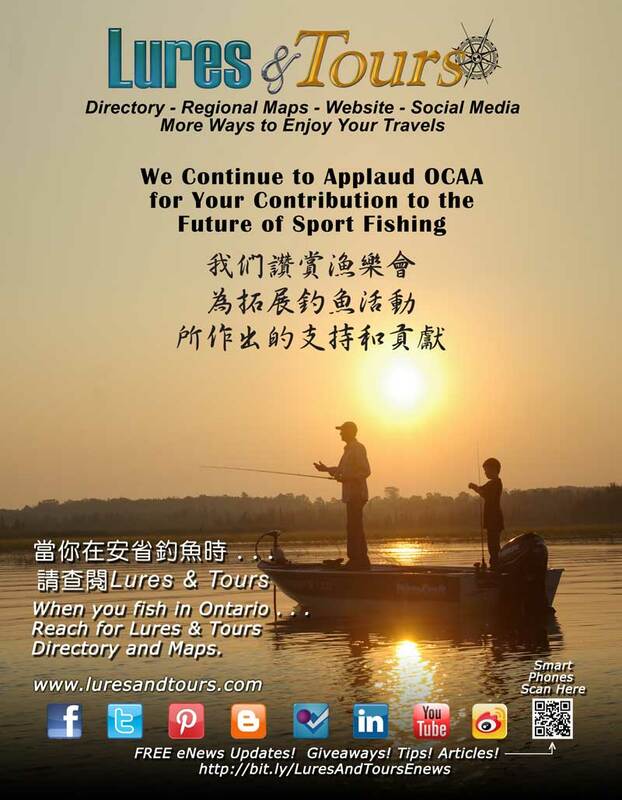 Ontario Fishing Directory - Lures and Tours Blog: Ontario Chinese Anglers Association Gala Anniversary Celebration! December 2012 Ontario Chinese Anglers Association celebrates 13 years of encouraging the enjoyment of smart angling in Ontario. OCAA a member club of Ontario Federation of Anglers and Hunter, was formed in September 15, 1999, by an enthusiastic group of anglers was registered April 2002, as a non-profit organization. All OCAA members are volunteers, and any funds raised are used to contact and assist local Chinese new immigrants in integrating into mainstream society habits through the promotion of fishing activities in Ontario. The OCAA also encourages the exchange of ideas with between members to improve fishing fun; supports charities, and nurtures young people's fishing knowledge and encourage them in contributing to the community. Since its establishment, the OCAA Membership has grown to over 300 people. Early on in its inception, Dr. James Liang Shou-Hong, one of the founding members, emphasized the importance of sharing the legacy of fishing knowledge stating: 'Do not miss any opportunity to help others, big or small.' this phrase has become their motto, 'We care; We share; We conserve for tomorrow'. OCAA activities have grown from purely fishing to further developing community support. Each year, the Ontario Chinese Anglers Association actively arranges a Family Fishing Day, and more young people join their fishing ranks. The OCAA also raises donations for Yee Hong Foundation, Mon Sheong Foundation, and Heart and Stroke Foundation. OCAA organizes fishing events and fishing competitions encouraging novices to join their activities, while also providing opportunities for members to improve their fishing skills by inviting a number of professional anglers to share their fishing experience and knowledge. The OCAA site has a forum with interesting angling tips posted. OCAA encourages more Chinese anglers to participate in fishing tournaments in North America. 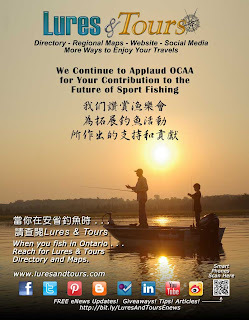 Visit the LuresAndTours Ontario Chinese Anglers Association Webpage to find out more.